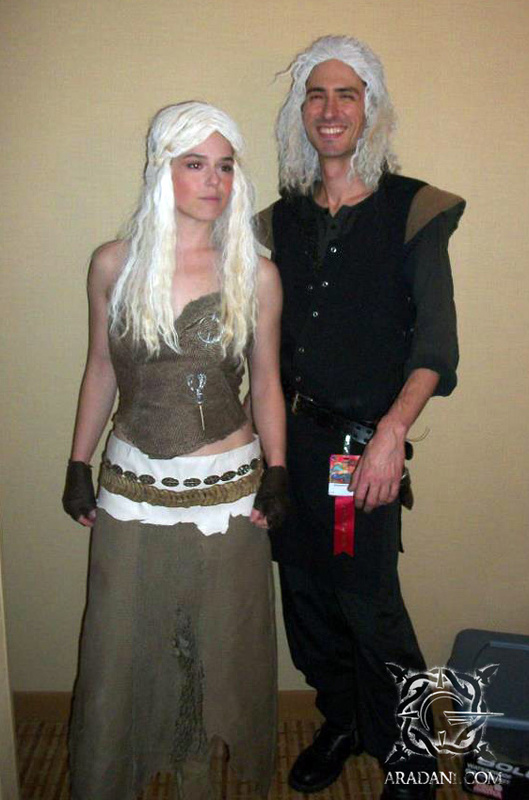 I wanted to post some pictures of our Game of Thrones costumes at Dragoncon this year. 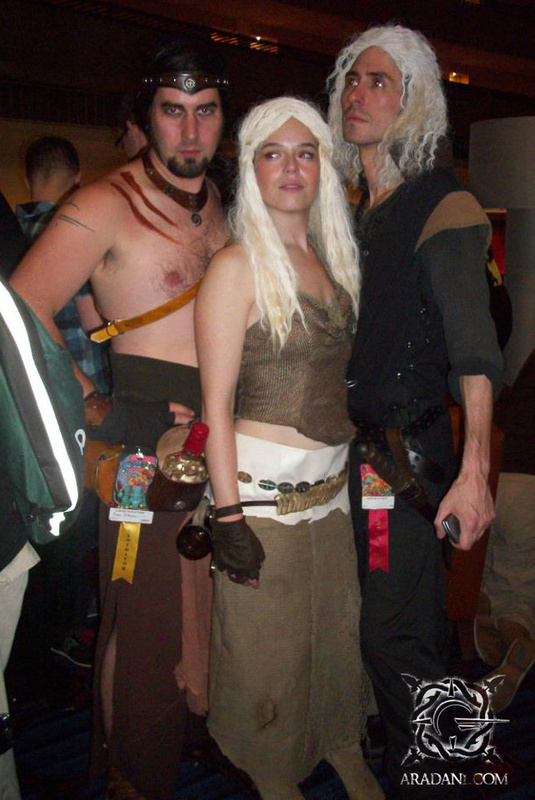 Most people have already checked out Laura’s Daenerys Targaryen costume article, but I wanted to show all of our costumes! 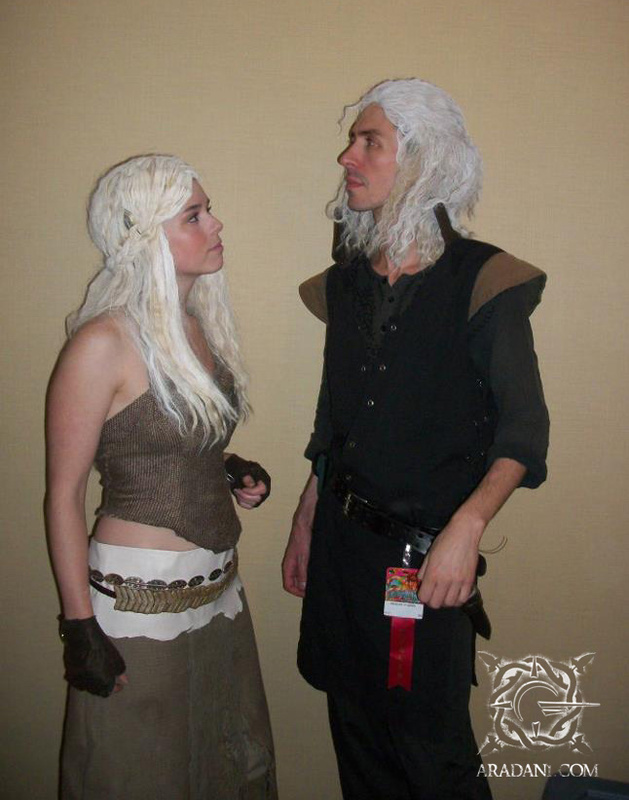 We had my friend Josh do Viserys Targaryen and I did a Dothraki. 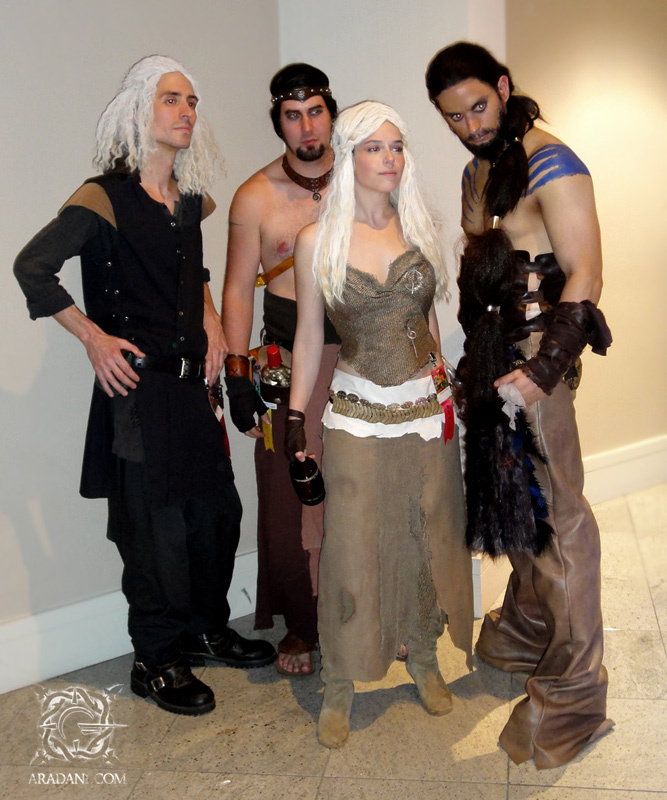 We found a guy who had made a great Khal Drogo costume and we stopped the show for a long time in the halls with all the people lining up to take pictures. Probably my favorite image of the night. How do I look meaner than Drogo? Besides this picture though, he was always in character. 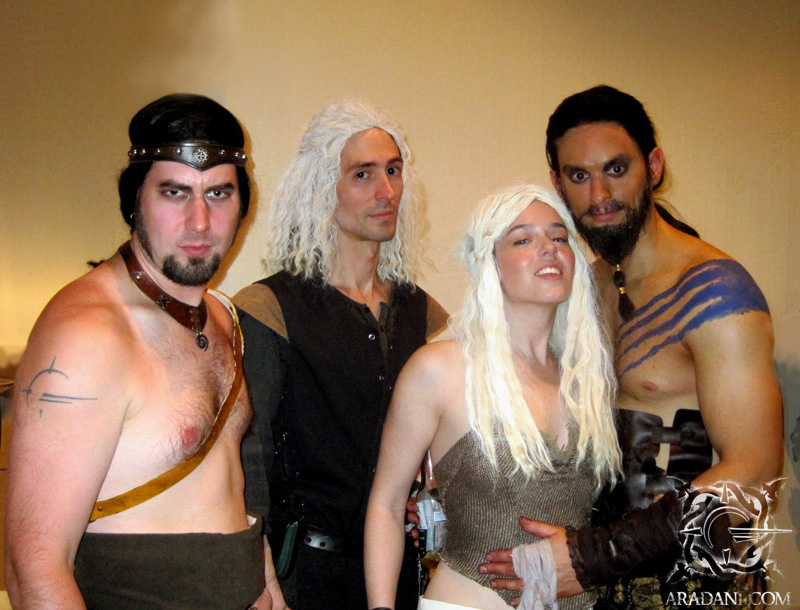 The Targaryens looking aloof, the Dothraki are always aware. Ok, nevermind, this is my favorite image. 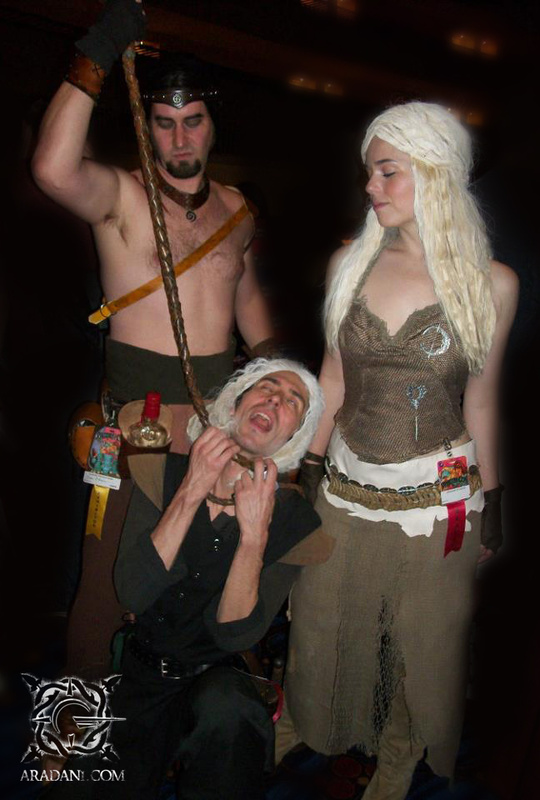 Don’t piss of Daenerys. What kind of material was used to make this top?